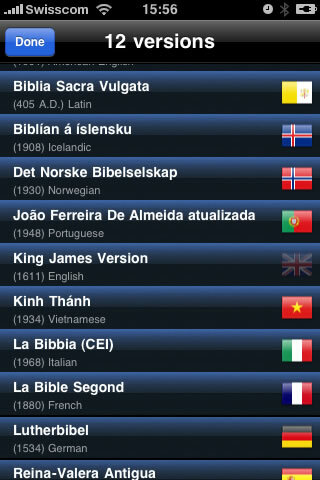 This amazingly beautiful and well-thought application will give you a new verse from the Holy Bible every time you launch it. Just click the next button in order to display a new one, out of a selection of hundreds of great verses. You can switch between several versions in various languages and compare them. Save your favorites verses with one click and discuss with your friends and family. 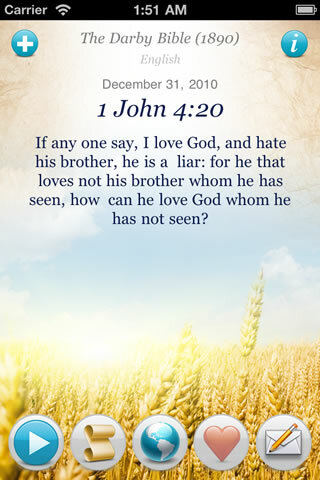 This application is essential for every christian who wishes to be reminded of the teachings of Christ. Just try it, it is simply the best app of the kind. Just read the user comments.